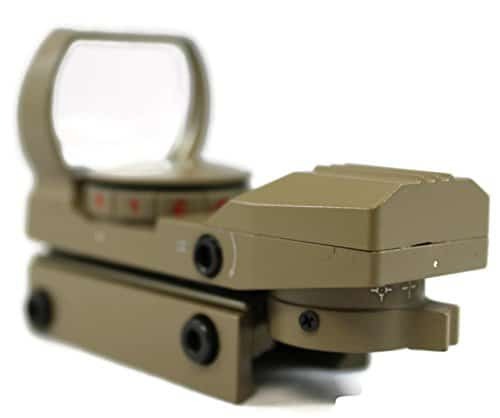 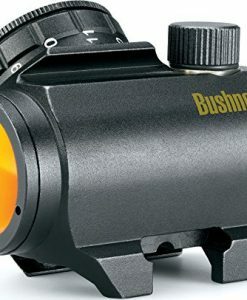 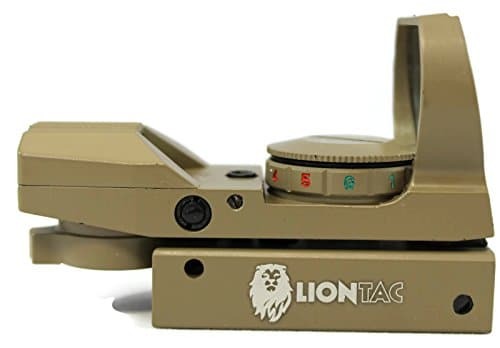 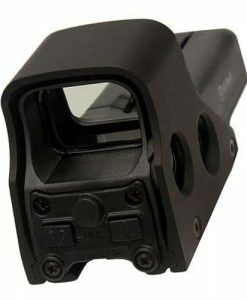 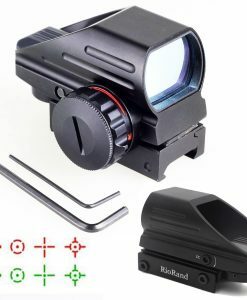 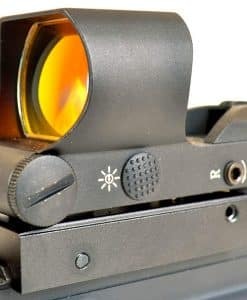 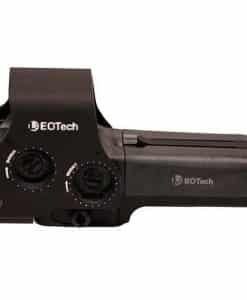 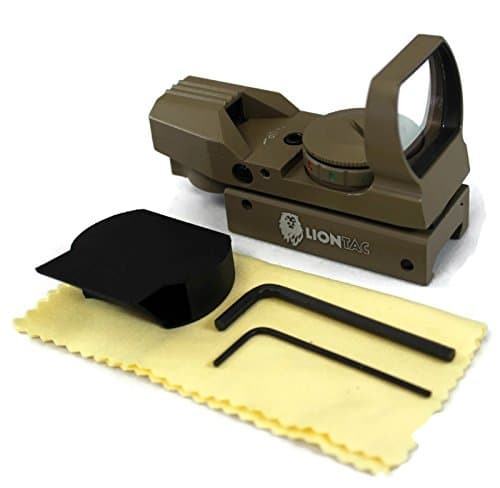 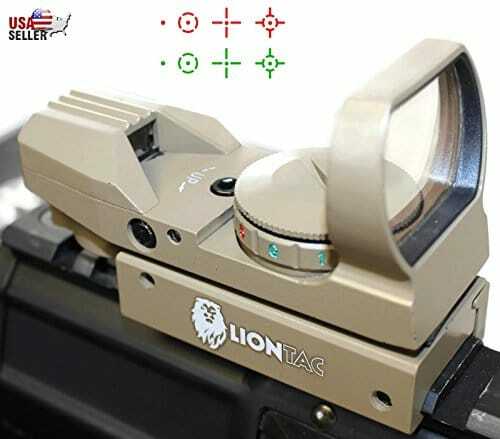 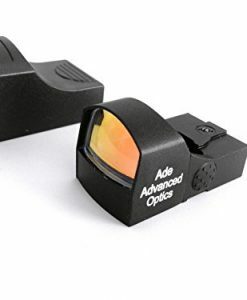 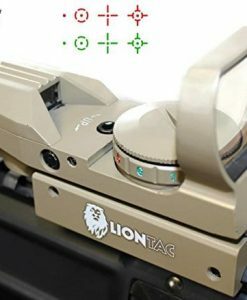 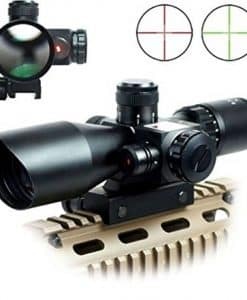 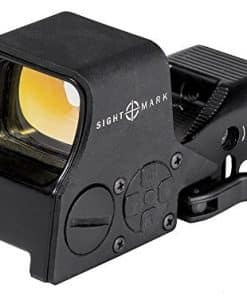 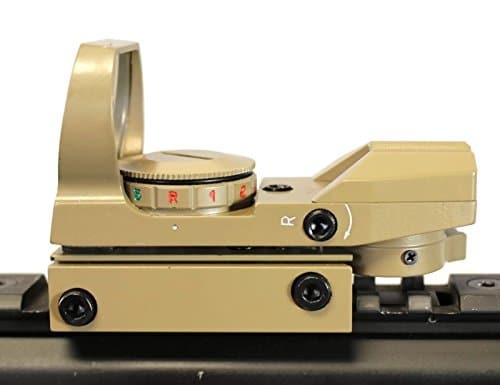 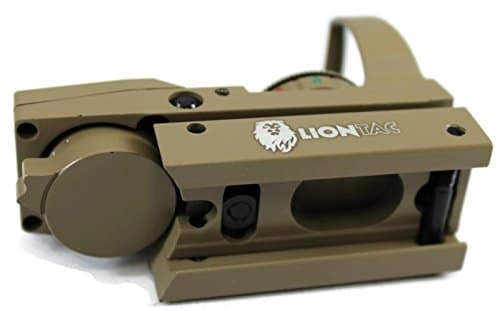 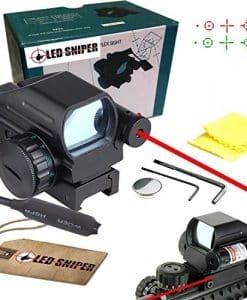 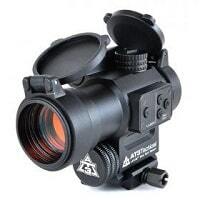 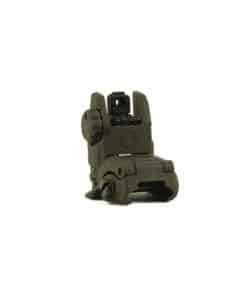 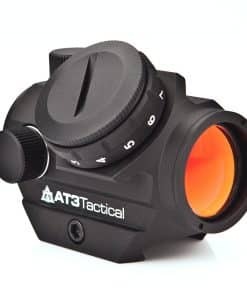 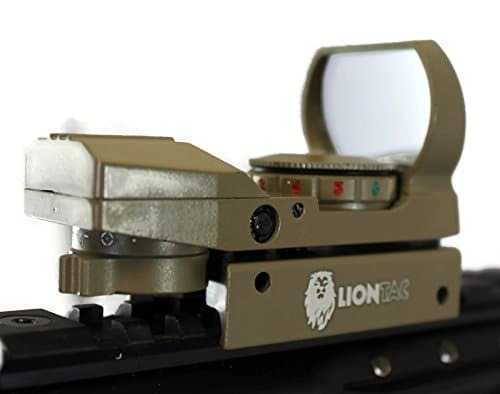 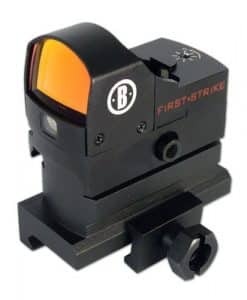 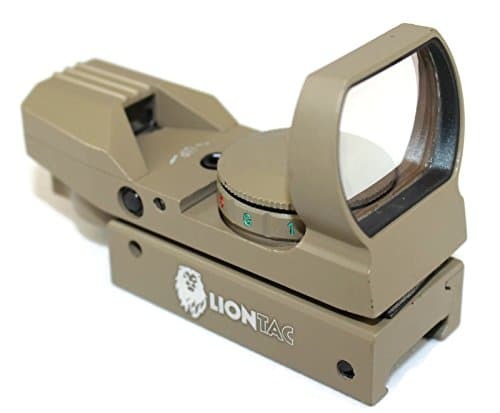 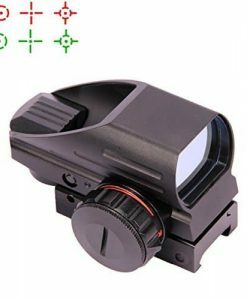 This red dot sight comes with an integrated mount for standard 20mm rails and is ideal for normal and rapid-firing shooting of moving targets. 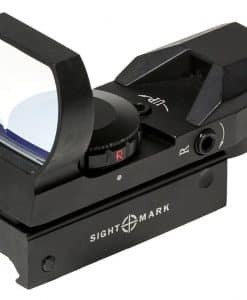 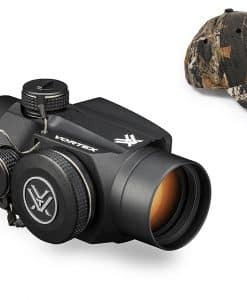 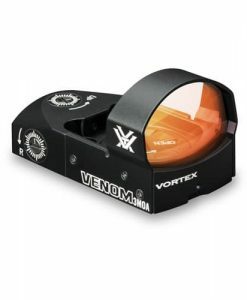 The tubeless design with 33mm reflex lens aperture provides a wide field of view and the included tools allow you to adjust windage and elevation in the field. 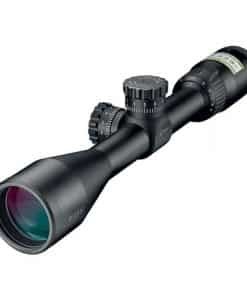 It’s durable and lightweight with all metal construction that will make the unit last a long time, it’s also weatherproof, and shockproof.